"Classic World Cupcake Stand is ready to be filled in with yummy cupcakes. 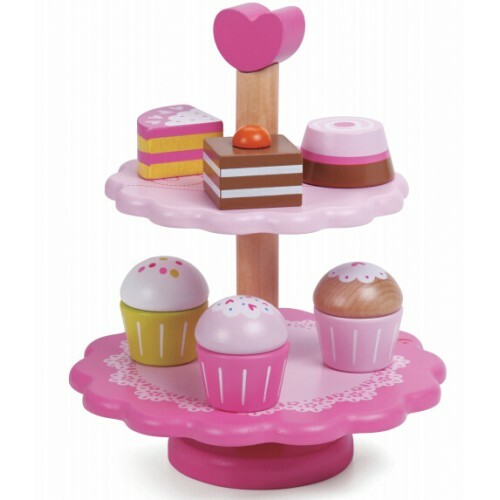 Our pretty pink cupcake stand includes 6 wooden cakes and treats with interchangeable tops and bottoms. Make your own combinations! Promotes imagination and encourages imitative and imaginary play.